This morning as the US, NATO & Gulf backed terrorists continue to rain missiles down upon the Syrian people besieged [by the terrorists] in the western sectors of Aleppo that are refuge to the majority of Aleppo’s population, a further 8 Syrian Arab Army soldiers have been taken prisoner and paraded on camera, blindfolded and shackled. Their fate is in the hands of drug fuelled terrorists supported, armed and defended by the US who has just requested that Russia desists from targeting Al Qaeda in Syria, Al Nusra. 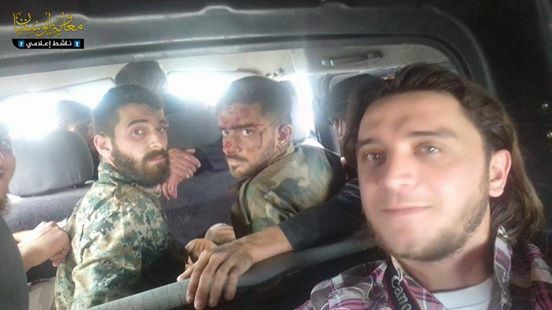 We have taken a decision not to show the disturbing video of these prisoners out of sensitivity for the suffering of their families who know how badly they will be treated after a previous video [also not shown] was released showing the public torture, humiliation and final execution of two other SAA prisoners at the hands of the terrorists and their associates, the US-NATO funded White Helmets. We were told second hand [via Twitter] that Raed Saleh, himself deported from the US for “extremist connections” had “sacked” one of the so-called voluntary White Helmet agents for his involvement in and evident enjoyment of this criminal act of cruelty that violates the Geneva Convention relative to treatment of prisoners of war. However, no official statement has been made by the White Helmets to categorically condemn this criminal brutality. “Two children were killed and 27 others were injured in terrorist attacks with rocket shells which targeted neighborhoods in Aleppo city on Friday. A source at Aleppo Police Command told SANA that terrorist groups targeted al-Hamadaniah neighborhood with a number of rocket shells, claiming the lives of two children and injuring 4 others who were rushed to the city’s hospitals for treatment. Later in the day, the source said terrorist groups fired rocket shells at Saif al-Dawla neighborhood and Project 1070 area in al-Hamadaniah, injuring 11 people, and that terrorists also fired rocket shells on al-Midan neighborhood in the afternoon, injuring 12 people including a child who is in critical condition. A girl was killed and five other civilians were injured Thursday in terrorist groups’ rocket shells and sniper shootings at al- Ramouse neighborhood in Aleppo. A police command source told SANA reporter that terrorists positioned in al-Ameriya neighborhood launched rocket shells and snipers opened fire at locals of al-Ramouse claiming the life of a university-girl student, injuring five other civilians and inflicting damages to citizens’ properties and houses. Later, SANA correspondent in Aleppo said that the terrorist organizations targeted al-Sheikh Maqsoud, Midan and Suleiman al-Halabi neighborhoods with a number of rocket shells, killing one person and injuring 15 others. Meanwhile, more than 40 rocket shells were fired by terrorist organizations on the neighborhoods of al-Midan and Suleiman al-Halabi, claiming the lives of 4 citizens and injuring 16 others. 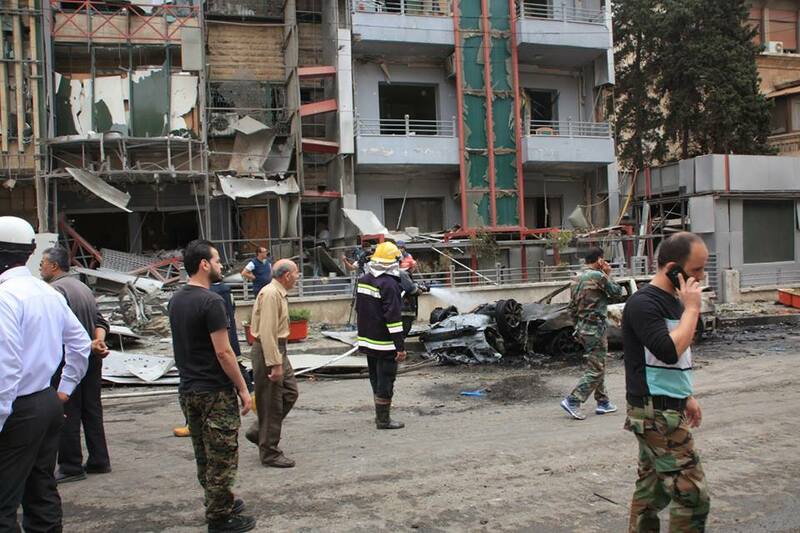 Earlier Wednesday, a woman was killed and 39 other civilians were injured by terrorist groups’ attacks on several residential neighborhoods of Aleppo in a violation of the cessation of hostilities agreement which came into effect since 27 February 2016. This morning Reverend Andrew Ashdown shared this important testimony from Aleppo on social media. “The situation in Aleppo has taken a turn for the worse since 19h of May 2016. Dozens of mortar bombs have damaged or completely destroyed buildings in the predominantly Christian and Muslim neighborhoods of Midan, Suleyman Halabi, Sheikh Maksoud, Jabrieh as the opposition intensified its offensive in areas of Aleppo held by regime forces . It is worth to mention that the rockets in Nor Kyugh also targeted the “Verjin Gulbenkian Hospital” building, which some years ago was turned into the Armenian Old People’s Home. There has been systematic shelling of Aleppo in the past eight days with the help of artillery, mortar and other kinds of shells. Although the firing is carried out from the same positions it is not clear which group is conducting it. One thing that seems rather transparent is that militants are specifically targeting civilian areas. A girl was killed and five other civilians were injured Thursday, 2nd of June 2016, in terrorist groups’ rocket shells and sniper shootings at al- Ramouse neighborhood in Aleppo. The terrorists positioned in al-Ameriya neighborhood launched rocket shells and snipers opened fire at locals of al-Ramouse claiming the life of a university-girl student, injuring five other civilians and inflicting damages to citizens’ properties and houses. 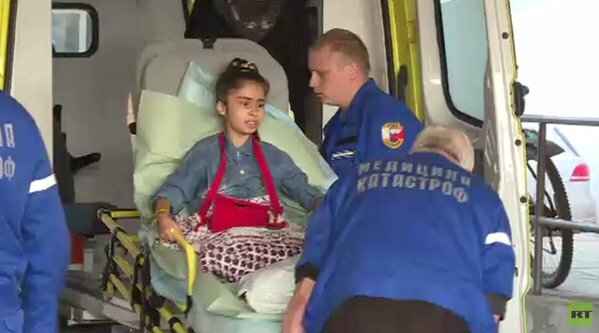 A ten-year-old girl from Syria arrived in Moscow to receive an operation after losing both of her legs in a terrorist attack in Aleppo. Russia’s Defense Ministry transported the girl and her mom in from the Khmeimim airbase in Latakia province. 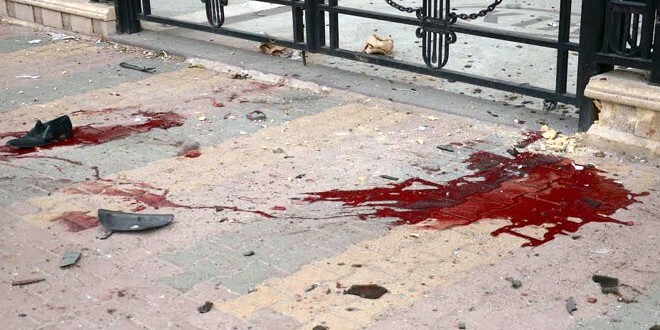 Meanwhile, more than 40 rocket shells were fired by terrorist organizations on the Armenian neighborhood of al-Midan, claiming the lives of 4 Armenian citizens and injuring 16 others. A repair house owned by an Armenian burnt down. Three of the killed Armenians were found totally burnt. Their charred bodies were moved to hospital. The other Armenian died later in Nor Kyugh. The deceased have been identified as Vazgen Tchapaghjurian, Levon Kelkhacherian, Hovsep Janetsian and Khachik Abulatian. Yesterday, after approving the German parliament a resolution recognizing the mass killing of Armenians by Ottoman Turks during World War I as genocide, the predominantly Armenian neighborhood of Aleppo Nor Ghugh came under heavy artillery attack by the terrorist groups, which resulted in number of civilian causalities and material damage caused to the district’s facilities. Earlier Wednesday, a woman was killed and 39 other civilians were injured by terrorist groups’ attacks on several residential neighborhoods of Aleppo in a violation of the cessation of hostilities agreement which came into effect since 27 February 2016. As a result of these sad and unhuman situation in Aleppo, hundreds of families have been forced to leave their homes and have tried to find refuge in the more safer areas of the city. Aleppo: About 40 Wahhabi preachers from Saudi Arabia arrived in war-torn Syria in order to convince local militants to fight during the holy month of Ramadan, the head of one of the settlements in Syria’s Aleppo province said. “Some 40 Wahhabi preachers — graduates of specific educational institutions located in… northwestern Saudi Arabia — arrived in the region of Aleppo and eastern Qalamoun in the vicinity of Damascus… Saudi preachers arrived with a mission to convince Nusra Front terrorists, as well as [militants] from Ahrar ash-Sham and Jaish al-Islam, who consider themselves part of opposition, that the limitations imposed on Muslims during Ramadan do not extend to jihad,” the settlement head said. Aleppo is indeed ‘burning,’ thanks to the US, NATO and their Gulf, and also Zionist allies. The Syrian people need us to stop believing the propaganda and start listening to the barely concealed truth of the “Dirty War against Syria“.